11 months after being announced, Sigma's 200-500mm f/2.8, 35-pound monster is finally available for purchase. When it was announced almost a year ago, I naïvely speculated that it might run $6,000, so it was a shock when I found it at a retailer in Japan for about 2.6 million yen (US $25,000). I haven't seen it in a US retailer yet, but I doubt it'll be substantially less. Hi Jeff, do you mean 400-1000mm? Never mind, I see it’s 200-500 with a custom 2x converter. Kind of cheating, I think. What’s special about this 2x converter compared to others? 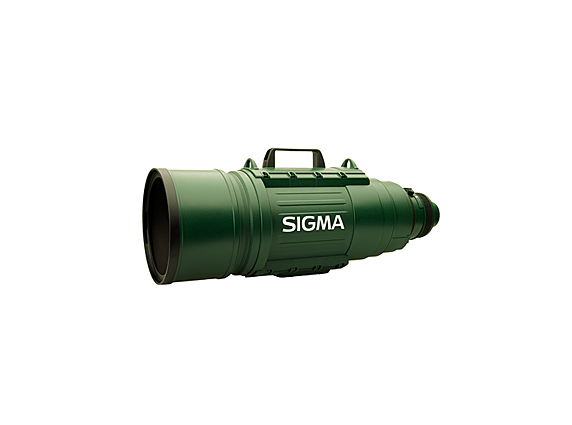 Just so everybody knows, the Sigma “Green” Monster lenses (yes there are two) comes in 200-500mm f2.8 and 400-1000mm f5.6 in DG (full frame) lenses.